I had my concerns about Ja Morant coming from a Mid-Major school and all. That was put to rest once I seen him play against Marquette. Explosive speed like a Derrick Rose with the court vision of Magic Johnson. He's the type of PG who could make his team mates around him. He obviously needs to put on a few pounds along with some work on his 3-point shooting. He should clearly go top 3. Bulls need to sit LaVine & Porter Jr for the rest of the season to recover. ( the word Tank was not mentioned). Sam: I personally don't see much difference between the 12.5 percent for No. 4 and the 14 percent for the three teams that if you don't move up that's the reason for failure. 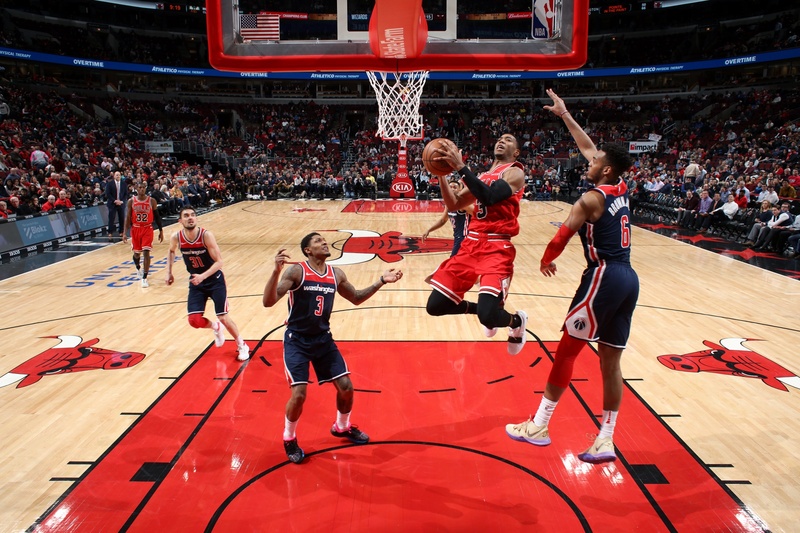 It's a fallback for people who want to say, "See, I told you..." I'm not suggesting the Bulls are losing games intentionally, but seriously, they're playing five and six former G-league players and a B league European player in regular roles. They're giving Felicio major playing time. Now it looks like Dunn may be out Saturday along with Porter and perhaps LaVine. Short of shooting for the other basket, what do you expect them to do? Whatever occurs if the Bulls don't move up will merely be not being lucky, like crossing the street at just that wrong time when someone else didn't. Basically the top three teams have an 86 percent chance of not getting the first pick. It's just luck at this point, like the Powerball. Plus, once you have a game like that everyone was watching the secret is out. Zion is No. 1 and Morant is No. 2 in the draft. I wrote about Morant last week here and suggested I might like him No. 1, but I don't see anyone passing on Zion's potential and brand (yes, you can get one now in college, and wait until the marketers come up with the ads for breaking through all sorts of things). So May 14 is the day. It's the lottery drawing. It's in Chicago again, and it's going to be a nervous day. Ja Morant or Zion? I'm taking Ja because a pass first PG who is also an incredible athlete is much rarer and priceless to have on the roster than an undersized wing who doesn't shoot well. Sam: He may have a better NBA career, like another famous No. 2 pick, Kevin Durant. Again, I don't see anyone with the self confidence to pass the most hyped player in the last decade. It hasn't been a great run for No. 2 picks lately with Lonzo Ball, Brandan Ingram (so much for the lottery guaranteeing success), D'Angelo Russell (ooops), Jabari Parker, Michael Kidd-Gilchrist, Victor Oladipo, Derrick Williams, Evan Turner, Hasheem Thabeet and Michael Beasley. So you think the Bulls management has has some misses? Take a look at those. Yes, with the second pick in the draft. It's not so simple. Though I feel Morant has a pretty good chance to succeed. A couple losses later, I guess you get less complains about the Otto trade and what it did to our draft position. Im your latest edition of asksam you wrote about the Hawks. So here is a hypothetical question for you. What if the Bulls get number 1, the Hawks stay at five and they call you as the Bulls GM on draft night to offer Trae Young and their pick for the rights to draft Zion. What would you do? Sam: Hang up Trea times. Now what if the Lakers offered LeBron for the No 1 pick? After all, where are they going with LeBron, eh? That's right, you probably wouldn't do it. How about that! 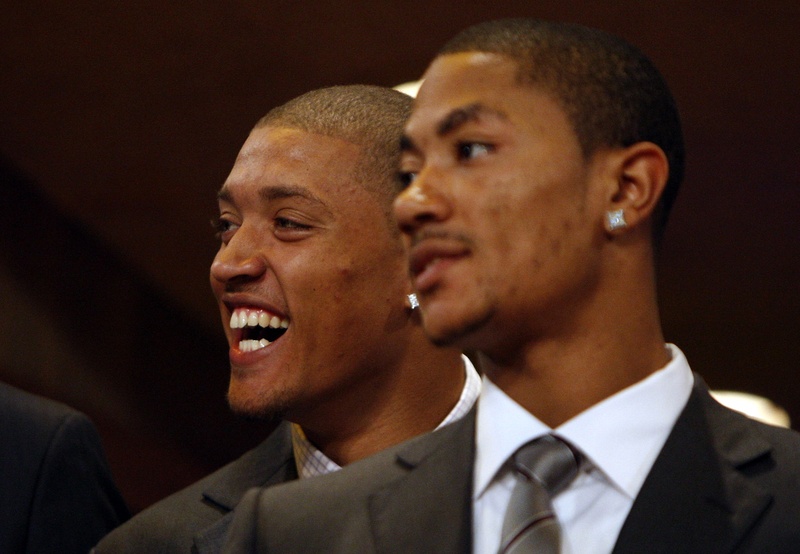 So the Bulls have about $20M in cap space to spend on free agents, of which Robin is one. Leaving aside Kris's recent resurgence, surely the Bulls top need right now is a point guard. 2 questions: 1) Who do the Bulls take at 3, 4, 5, 6 or 7 (we assume Zion is 1 and Morant is 2 for now)? and 2) Is $20M enough to bring Robin back? Sam: Like I wrote this week, let's not give up on Dunn quite yet. He hasn't been the most revealing guy, and he was a late bloomer of sorts, and he has gone through a lot of changes in coaches, style and injuries. If he comes back with a reliable long shot...Remember, it took Oladipo a few years after two teams gave up on him. It's an instant production world, but people don't always match that expectation. Still, if a great player comes along no matter the position, you take him. And if the Cavs after drafting a point guard No. 1 get No. 2, I expect they take Morant. You always can trade a promising point guard. After that it's generally considered to be the best player available from Duke. As for Lopez, it's more complicated. It's been an impressive transformation to the point, probably for the first time in his career, he's been going back in games..for offense! 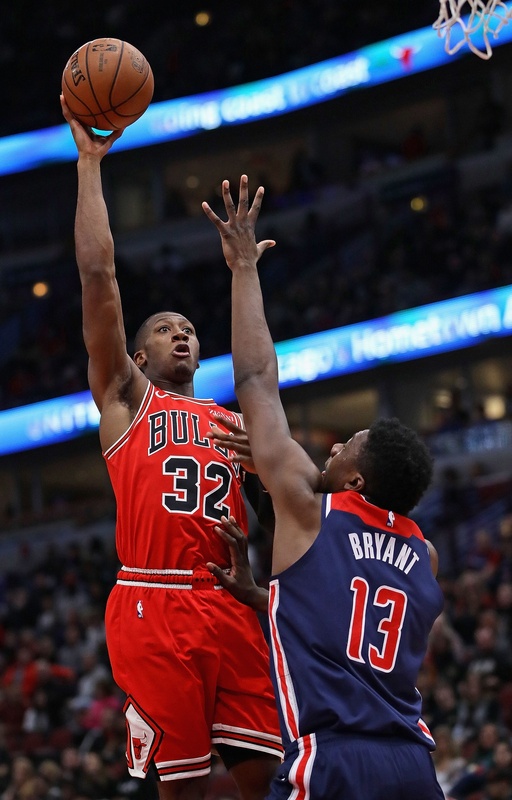 But the reason he wasn't a starter to start this season was the drafting of Wendell Carter Jr. He'll be back, and as likable as Lopez is, I think he's much more so when starting. I assume as a free agent he'll check around for perhaps a starting spot, and I believe the Bulls probably have their eyes on a free agent who could slip through. After all, close to $20 million still is a lot of money. I don't expect Robin to return, but I also didn't expect anyone to suggest he has some Kevin McHale in him. I read your piece on LaVine which reminded me. When's the last time somebody wrote you complaining about how stupid the Bulls are for matching his contract offer and overpaying him? I bet those complaints have mostly gone away. Even at the time I they signed him I thought it was a silly argument, not so much because I was sure LaVine would turn into an all-star, but because he's simply not making that much money in today's NBA. The one downside of matching vs. extending is he's only on a four-year deal now. If he continues to play well, that's going to be regrettable. Sam: Yes, imagine not having matched that offer sheet. And you are correct; as amazing as it sounds to write or say out loud, $19 million per year for a top NBA starter is a bargain. The Bulls basically had to pay on spec since Zach really didn't play much last season. But he's shown he has the potential to be a great player, and even if he's not all-NBA first team, he's an incredible athlete, excellent shooter and tough shot maker, and my thing then was OK, if you don't match, who are you getting? I never got many very good answers about that one. Though all this comes down to is fans are mad the team is losing. If you go back to the 90s, the Bulls were probably the worst drafting team in NBA history for a decade. I don't recall much criticism of that. So here they are, the No. 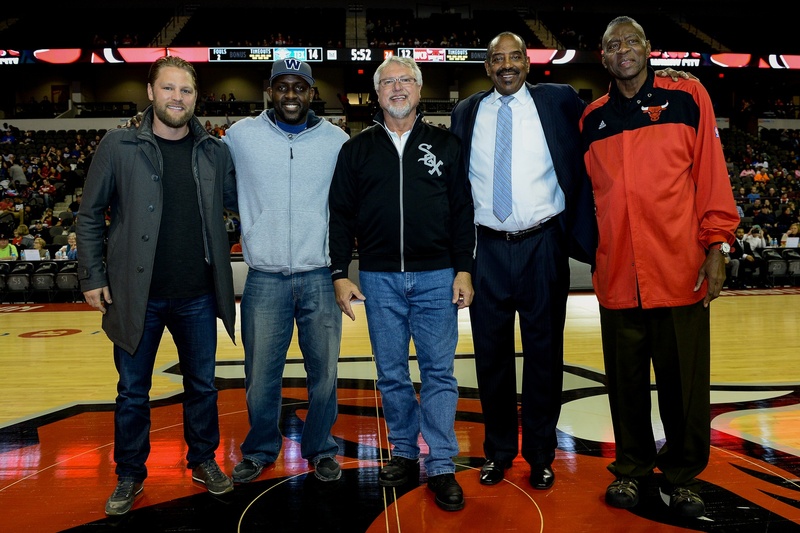 1 draft picks of the Bulls in the 1990s: Mark Randall, Byron Houston, Corie Blount, Dickey Simpkins, Jason Caffey, Travis Knight, Keith Booth, Corey Benjamin. It didn't change until 1999 when the Bulls got No. 1 in the lottery and took Elton Brand. Who they traded for...OK, let's not go there, either. Is Larry Johnson a good comp for Zion? Sam: He and Charles Barkley are the usual comparisons you hear, which are pretty good since Barkley was a Hall of Famer and Johnson was an amazing talent and one of the NBA's biggest stars until back issues and still had an excellent career. I heard an interesting comparison the other day from a longtime general manager who's been involved with championships. He said Zion reminded him of Julius Randle. 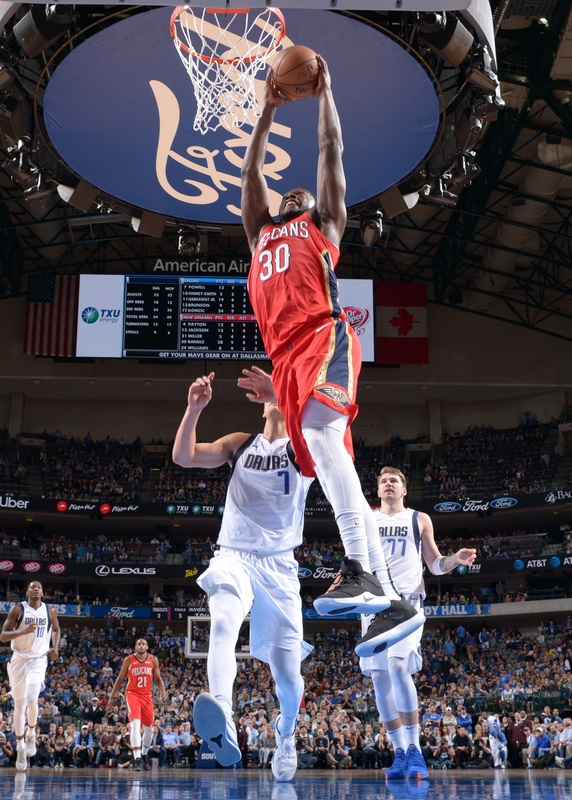 Who actually is having an impressive season in the mess that has become the Pelicans, averaging about 21 points and nine rebounds with a powerful inside presence. He doesn't have much of a shot and is pretty left dominant, which is impressive for knowing the scouting report. There have been questions about Zion's abilities at his size about 6-7 and playing inside. But he's more explosive than Randle, and if Randle can do that it suggests a pretty big upside for Williamson. Shaq Harrison may be creating a spot for himself on the roster; maybe at the end of the bench, but I love his energy too much to let him go. T L-C had a very nice game too. But let's see who we come up with this summer before making roster decisions prematurely. Who – if anyone – of the G-leaguers we should keep around. I guess it depends on who we can find to upgrade the bench. But Shaq may be a keeper, just for that energy. Sam: It's still sort of a roster in flux, or growth. How much better can Markkanen get? LaVine? Will Carter fill that center roll and develop a shot? What about the size and presence of Lopez (when did we think we'd say that?). This NBA is about stars, and when you have stars they cost money, and it's difficult to have that much of a bench as we see with the Warriors, who remain the favorites since in the playoffs it's your starters. The Bulls when they were champions had nice bench support, though it often changed as guys got deals and moved on. It's worked some for Toronto, though they don't have much playoff success. Stars win playoff games. Now with Porter, Hutchison returns to a reserve role. Carter comes back to start, so Felicio and someone has to be a back center. Lopez? He's been forgotten, but Denzel Valentine returns, a former low lottery pick who shoots well and can handle the ball, which seems an ideal bench need. You figure Arcidiacono has worked himself into some sort of backup guard position. So where does that leave guys like Harrison, Selden, Blakeney, Timothe? They've been good, committed teammates, but they also seek careers. So I expect if there are offers they'd want to pursue them. Plus, the Bulls are adding a draft pick player and likely a free agent or two with the money they have. Maybe one remains. Maybe not. Not because they haven't played well or contributed. It's that numbers game thing, but, yes, Harrison does represent the kind of player teams want. If he only was a knockdown shooter. Oh, right. Then you wouldn't have gotten him in the first place. I understand big men take longer to develop their game than do we (by NBA standards) folk. And didn't he hail from some off-the-grid location in which he didn't enjoy the years of participation and level of training of most who reach the NBA? Sam: Well, yes, but he sort of has been around the NBA for four years now. I feel badly for him sometimes seeing him around in these long stretches of inactivity—OK, stop with the salary—as he really seems to want to do well and always maintains a good, positive attitude about it and tries to do the right thing. An example of that character, in part, is that he won't shoot. If it were me, I'd be shooting every time I touched the ball. What could they do to me, bench me? But he's still so reluctant. His movement is a little heavy, so I don't see a huge jump, but he's shown the last few games that he can do some things around the basket and is willing. I know; not a huge endorsement, but maybe he has some more surprises. Sam: It's an interesting point about Motta, who did win in Washington and then blew up a good young team in Dallas. The Bulls were close enough in 1975 that perhaps Motta didn't matter. But then he did in that series. He was Thibodeau-esque in that era in pushing his starters the most of anyone in a league when there were smaller rosters and starters played more. Perhaps it was no coincidence the Bulls had a reputation despite their ferocity for fading late in games, which especially occurred in 1975 against the deeper Warriors when they should have gone to the Finals and probably a title. 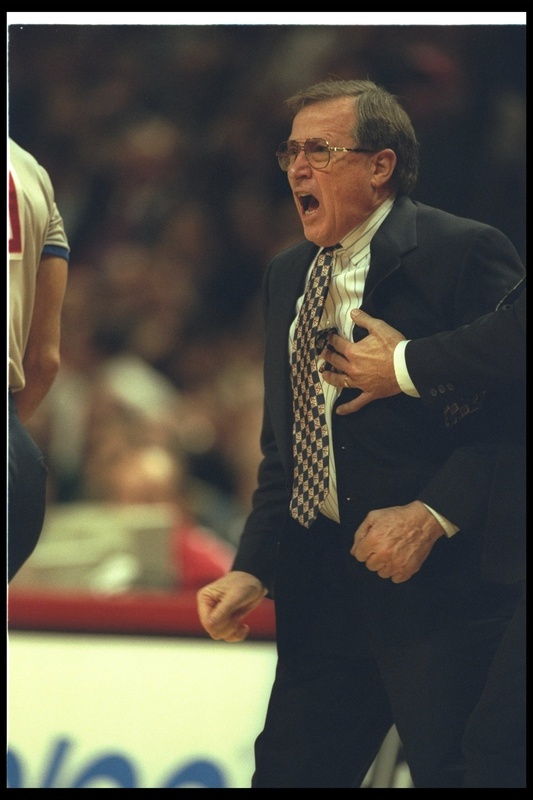 Motta was certainly not a popular coach with players not named Sloan. And then a disaster when he became general manager also, which led to more annual holdouts than most teams in the league. p.s. ; Antonio is such a tease. He's got such unique scoring ability with the ease he gets off his shot. Sometimes with a player like that it takes a few stops. The Clippers are Lou Williams' sixth team. Mickey Johnson. I am ashamed to admit that I don't remember Mickey even though I consider myself a die-hard Bulls fan. I was probably 10-14 years old at that time and fortunately gave more time to school work than following sports at that time. Maybe my interest tailed off when Chet Walker retired and the team went into a lull. I think those were the halcyon days of David Greenwood and other assorted fodder. Bringing in former players like Mickey Johnson through the ambassador program is a great way to keep current players grounded and realize how fortunate they are for their positions. The story also highlights the value of a college degree if you are not one of the 1% of college athletes that make it to the NBA. Mickey got his degree because he wanted it and worked for it, not because he felt entitled simply due to his contributions on the court. Sam: I guess it does show how overlooked Mickey was if you recall Greenwood, though no fault of his he was the first great disappointment because he was the consolation prize in the then coin flip for the top draft pick, Magic Johnson. With Artis and Reggie Theus that was an instant title team. Oh well. It worked out a decade later. I'm thrilled to see the Bulls working with some of their graduates and if even some of the players could hear their stories it would be invaluable even if they're not as skilled as Mickey was. 4th ( not many minutes played together) Lauri to Dunn once for 2points. Dunn to Lauri 4 times with 3 of them scores. Lauri one pass to Lopez no score. OT 2 great 3s from Dunn. 1:30 left Lauri has not had the ball for a scoring opportunity. Lauri with 2 passes to Dunn resulting to 2 free throws ( 0+2p). Dunn with one pass to Lauri for 3p. Total Dunn passed the ball ( assists or a scoring opportunity )to Lauri 8 times resulting for 12p. Lauri to Dunn 6 times for 6 points. 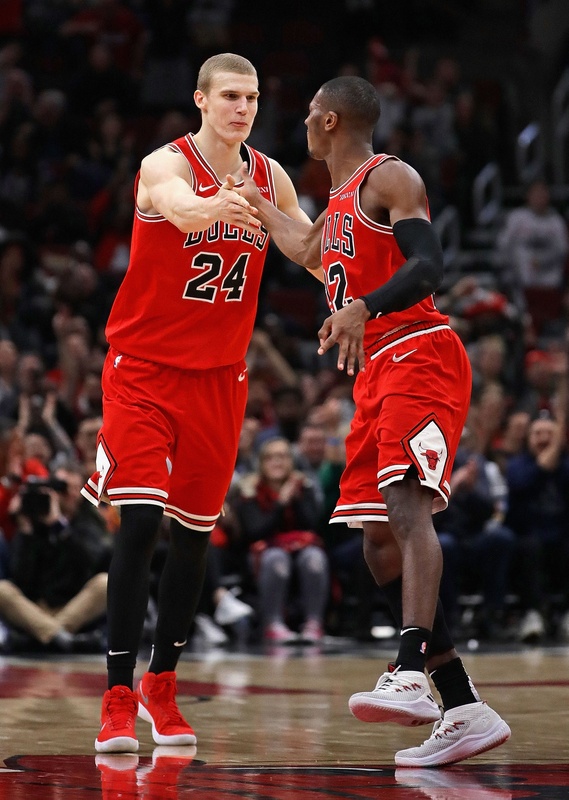 Is Lauri giving up the ball too much when these two play together? Or let them just play? My point is ...is Lauri getting enough scoring opportunities from Dunn (especially when Zach is back) compared how much he gives to Dunn? Or am I just looking games with blue and white glasses on? Sam: You do have a Finnish tint, which is understandable. Sports is very xenophobic. I don't believe there's any sort of intentional avoidance which, at times, it did seem like last season. But that really turned out to be more the way Lauri didn't make himself available. He seems well liked and respected. Dunn isn't a natural point guard, so he doesn't always see everything. And sometimes—and understandably with all the changes this season—they'll still miss Lauri when he has it going, which happened in that second quarter against Washington when he finally heated up. And he still had a big game, which suggests his scoring potential. But Lauri has to also be more demanding. It's not about making the extra pass, which he'll do, but not demanding the ball when you have it going or are in position. He doesn't do that enough, and also still has difficulty finishing through contact. And, yes, still almost averaging 20 points per game at his age and experience. It's really unreasonable to expect much more now however much you may want it. How good would Steph Curry be with 80s hand check rules? Would he be Del? Sam: Maybe more like Barry Bonds after Bobby Bonds. Yes, forget all the other stuff. Dell was perhaps the best pure shooter of his era, though because he couldn't dribble it wasn't much recognized beyond the players. And in 16 years he had about 100 starts. But he was a heck of an efficient guy averaging about 12 points in 22 minutes for his career. 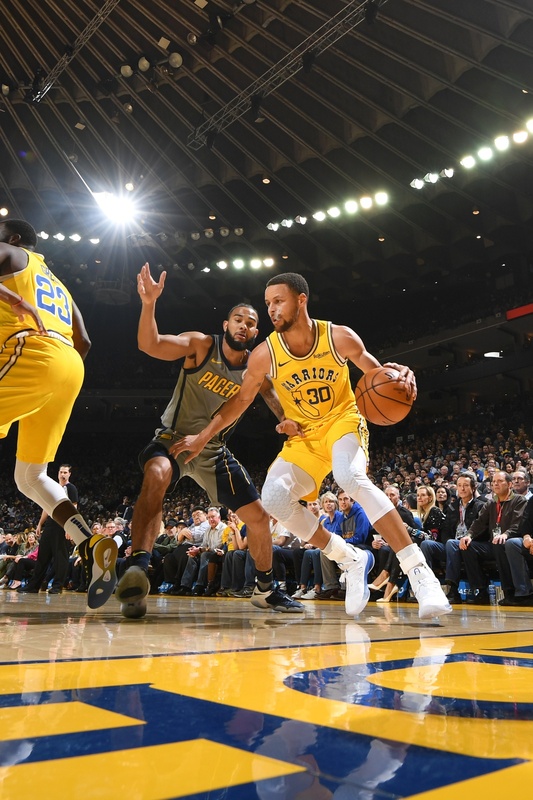 What's made Steph so special is his ability to handle the ball—not just pregame—and shoot off the dribble. I don't think the hand check would bother him much since they didn't do much hand checking 30 feet away from the basket then. He'd have been a star shooting that way in any era. 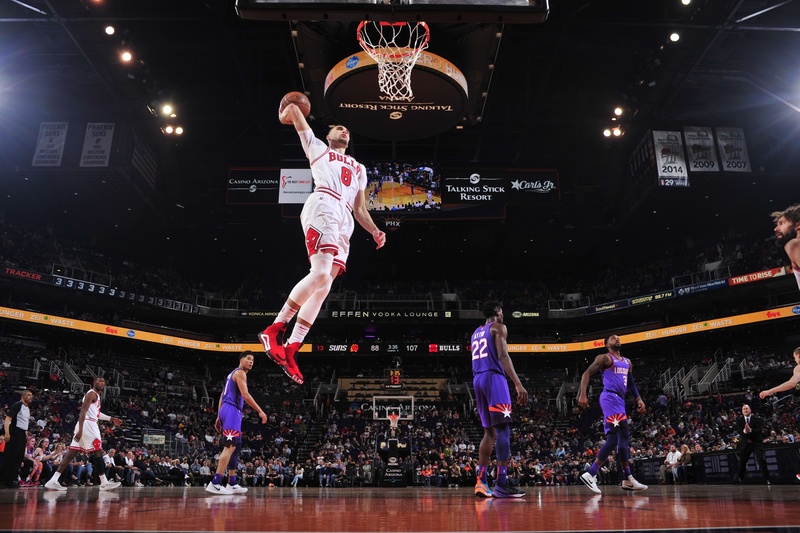 PERSON B: Personally, I think that Beasley is a no-brainer as he fills the void of a post-scorer and probably a star that the Bulls so sorely need. After that, they have two voids to fill. They lack both a true center and a true point guard. Yes, Hinrich and Noah fill those positions, but Noah should be a forward/center off the bench and Hinrich should be a starting 2 guard who can move to the point when another 2 guard comes in. They are also too deep in the 2 and 4 spots and will have to lose at least a couple of players at these positions. I think they should try to go for Mike Conley to fill the pg spot, he is young with a knack for his position, and Memphis is overloaded at pg with 3 potential starters. The Grizzlies would likely want someone low on pay to replace him at either the 2 or 3 spot... Perhaps Tyrus Thomas and/or Thabo Sefalosha. PERSON C: The Bulls should take Derrick Rose, and then try to package Hughes and Heinrich to the Nuggets for Marcus Camby. PERSON D: yeah my team finally got a break, they better not mess it up, but anyways yeah they should get Beasley because we are lacking at the PF position, and the should trade a few guys that are C level players and get either an experienced center or draft one, or to get a true point guard. PERSON E: I completely agree with you. Beasley is a potentially great player and fits in well with their currrent players. I don't see Rose being much better than Heinrich. Just a little fun reading from the past. Sam: Ah, the memories. No wonder everyone has an opinion on management since they have the answers. Though I love that stuff. It's what makes the NBA so great. Really, who even knows when the baseball draft is? And who gets excited about a pulling guard from Alabama? The NBA draft is one of the best sports stories of the year, and we have another big one coming here soon. And lots of certainty of opinion, I'm sure. Bring it on!